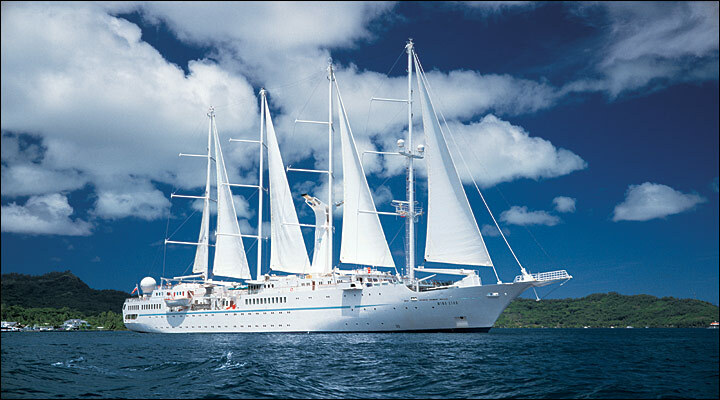 Wind Star is a sleek, 4-masted sailing yacht accommodating 148 guests. With four decks and a gross tonnage of 5,307, Wind Star feels like your own private yacht. 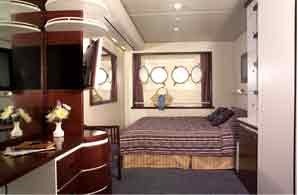 Wind Star features wide open, teak decks—quite unusual for small ships. Guests will find hidden nooks for private moments giving them a feeling of being on their own private veranda. 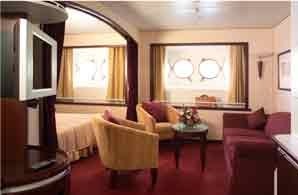 All staterooms have ocean views, queen beds, flat-screen TV with DVD player, and Bose SoundDock speakers for Apple iPods. The Owner’s Suite includes a sitting area. Wind Star offers two primary dining venues. AmphorA restaurant offers gourmet, course-by-course cuisine in the evenings and Veranda restaurant offers casual buffet and full-service dining for breakfast and lunch. All dining is open seating. And, for dining under the stars, make a reservation for Candles which features steaks and skewers.